In a healthy mouth, a coat of enamel protects the tooth crown. Under the gum line, there exists a layer called cementum to protect the tooth root. Beneath the enamel and the cementum lies what we call dentin. Dentin is a tissue that makes up the bulk of all teeth, essentially containing microscopic canals. 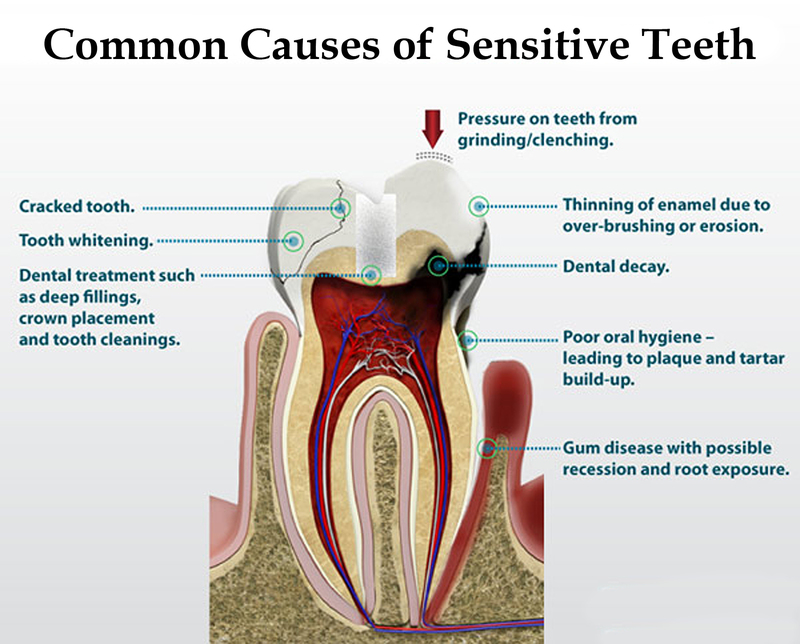 And when dentin loses this protective layer of enamel or cementum, these canals allow heat and/or cold to reach the nerve cells inside the tooth and result in hypersensitivity or sensitive teeth. 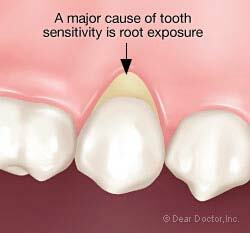 Our dentists at FDOC are specialized in diagnosing the root cause of sensitivity and treating them accordingly.